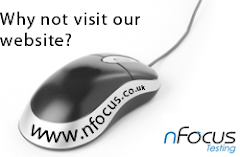 nFocus is exhibiting and presenting at next week’s Testing and Finance conference being held in London. We will also being offering an opportunity to try out the testing functionality within Visual Studio 2010. Come along to the stand to either see a demo, or even try the tools for yourself. We’re currently giving away a limited number of free tickets to the audience of our blog. If you would like to come along please contact me directly at ryan_james@nfocus.co.uk. These tickets will be given out on a first-come, first-served basis so please get in touch to avoid disappointment. For more information about the conference please click here, and to read the abstract of our session please click here.